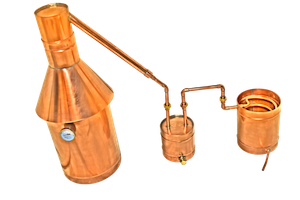 We specialize in the manufacturing and production of these 25 gallon all copper MOONSHINE STILLS which are handcrafted to perfection. Made using heavy gauge copper and lead free solder, our units are built to last. All of our units are water tested and have ZERO leaks. SHIPPING IS EXTRA AND IS BASED ON WHAT THE ACTUAL CHARGES ARE. 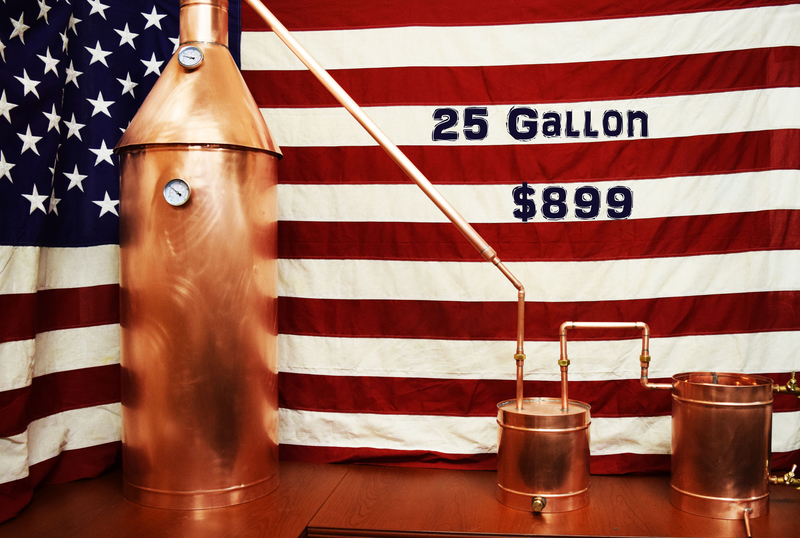 What you are looking at here is a 25 gallon COPPER MOONSHINE STILL. Hand-crafted in the State of New Hampshire! This still is GUARANTEED to last. Built with lead-free, silver solder and 22 gauge (20 oz.) COPPER sheets, water soluble flux, lead-free brass fittings and as always, with PRIDE AND JOY from the Granite State of NEW HAMPSHIRE. This unit comes as a COMPLETE KIT which includes the POT, THUMPER and WORM. It also comes with a high-heat temperature gauge. ALL of our units are completely water tested and have ZERO LEAKS! Our stills are always cleaned and polished, giving it an amazing appearance. This unit is not only FUNCTIONAL, but also doubles as a FINE piece of Artwork! for the afficianiados that like to keep everything nice and clean and pure. The traditional style of my still will never get old. THE DISTILLERS RENAISSANCE IS HERE! We are standing by to help you buy your first still!